Click to see our video! 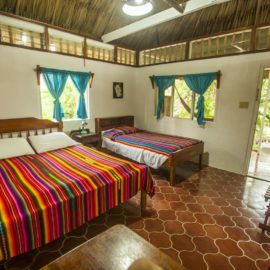 The Maya Mountain Lodge is surrounded by beautiful Belizean tropical rain forest, toucans, and other rainforest flora and fauna. 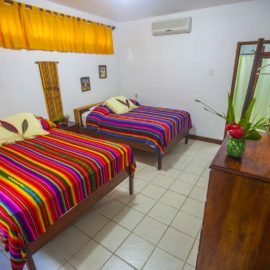 Our Belize jungle lodge is renowned for friendly staff who provide a home away from home for travelers looking for an adventure base in Western Belize. 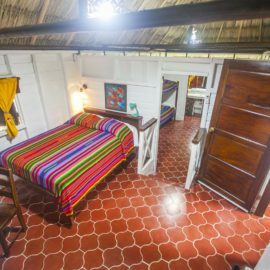 Located near San Ignacio, Belize, this eco-friendly, family run Jungle Lodge has cottages, rooms & efficiency apartments for short and long stays. 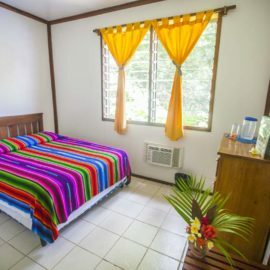 Our Belize jungle lodge has nature-trails and beautiful tropical gardens. Our Wellness Center, Whole Foods Restaurant, and Customizable tours round out this unique resort. 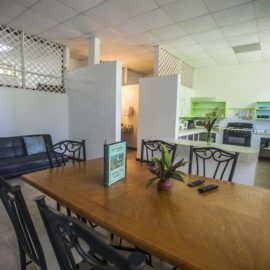 Visitors are attracted by the Farm-to-Table approach to dining and living. The organic gardens and aquaponics project provide healthy fresh ingredients while demonstrating the principles of permaculture to our guests. The Nature's Kitchen Whole Foods Restaurant prepares delicious, healthy cultural foods that cater to both international cuisine and special diet choices. 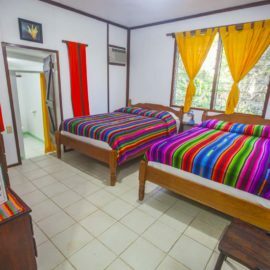 Bart , Suzi , and the staff invite you to be our guests, enjoy the delicious ethnic foods, interesting wellness workshops, comfortable accommodations and exciting tours. Maybe one day you will be our neighbor! Promotional - Check out our Discounts Page! All units are tastefully decorated with regional decor. Each cottage has its own porch with a hammock. 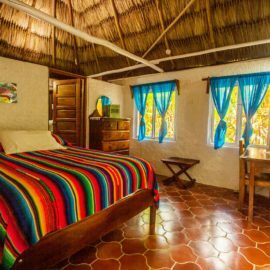 Our cottages come in a variety of sizes to accommodate anyone from newlyweds to big families. Groups can utilize our meeting room for conferences and retreats. 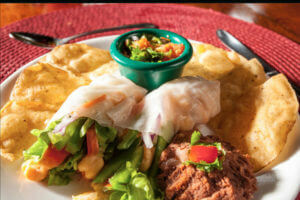 Guest can choose from a variety of cuisines all made with the most natural ingredients. Our cooks use Himalayan pink salt, virgin olive oils, coconut oil, pesticide-free produce, and only organic GMO-free flour. We also can cater to special diets such as Gluten-free, Raw, Vegan, Vegetarian, and more. We want to make this your best vacation adventure ever! Our staff work hard to ensure that you have the safest and highest quality trips available. 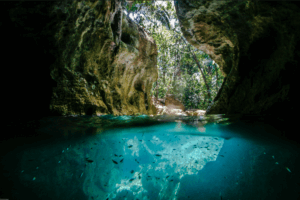 You can explore the Mayan Temples & Cave systems, Zip lining, Canoeing, Belizean Culture and more from your Belize jungle lodge. We promote healthy lifestyle choices with an abundance of organic locally grown foods. You can experience wellness cooking workshops, spa treatments, and yoga classes. Travelers arrive either independently, with tours, or with group retreats. 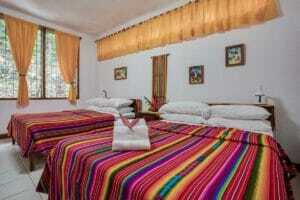 All our accommodations have a/c, private bath, wifi. Each is tastefully decorated with local decor.